The new Utility Textile range from AGA Cookshop is a robust and hardwearing linen collection which will look at home in any AGA kitchen. The fabric has been designed by William Crisp of Crisp & Dene from their studios on the Suffolk coast. William Crisp is a seasoned textile designer with a wealth of experience in textile print designing. “As a designer I’ve always been interested in simple domestic fabrics, traditional household linens, fabrics that work hard. 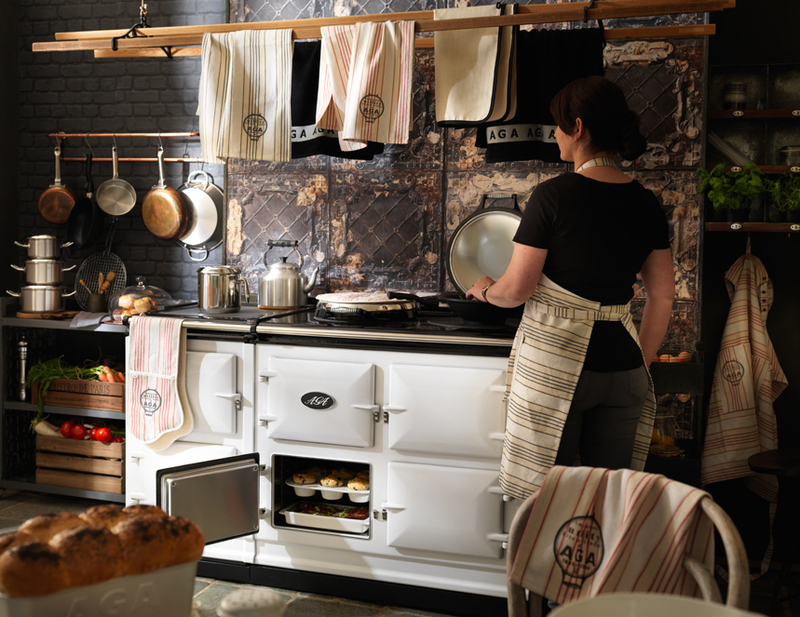 Designing something for AGA, something that celebrates the timeless, reliable honest performance of the AGA tradition was a perfect fit for me. The cloth we have designed & had woven for this Utility range has been inspired by the tradition of striped utility fabrics, fabrics that have performed simple domestic tasks reliably for generations. 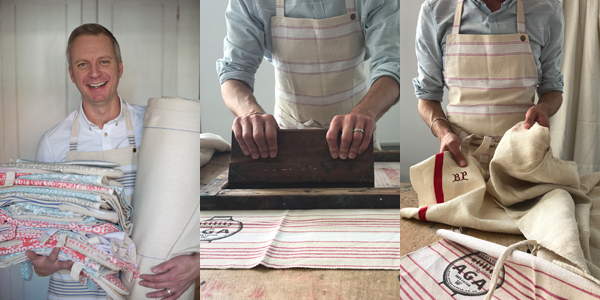 I wanted to draw on the tradition of functional household textiles & design a range that celebrates simplicity. This range of utility kitchen textiles have been designed with the AGA cook & the cooker firmly in mind." 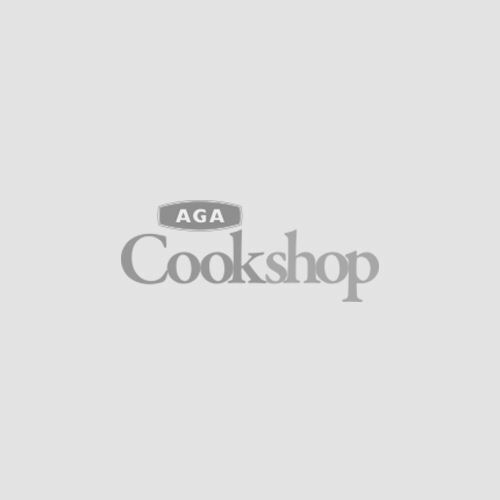 "A timeless collection of kitchen textiles for all AGA cooks”.